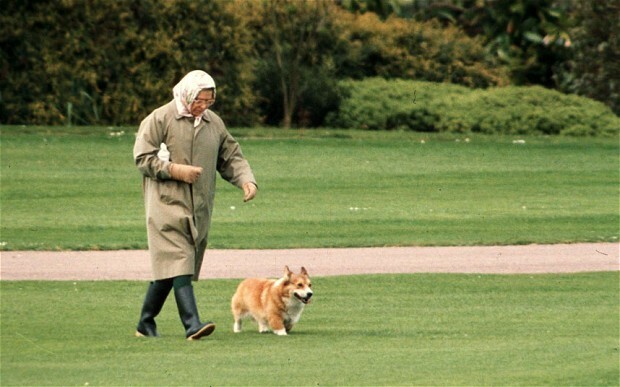 News is that The Queen has decided to stop breeding corgis. For, like, a good reason. Or something. According toVictoria Ward, over at The Telegraph, HRH will stop breeding her corgis for good. Apparently, she only has 2 dogs left…and she is feeling her own time draw nigh. Thusly, she is beginning her descent into accepting mortality, one small step at a time. Or, in this case, one very short, stubby, Corgi step. “The Queen’s deep affection for her favourite breed of dog is such that she will always be associated with them. Good heavens, HRH! Way to be morbid! I’m sure if you had more dogs, it would be okay. Life could go on. Maybe, there could be someone, somewhere, who would absolutely adore raising your corgi puppies for you. Who knows who she could be. She could really be anybody in your post-colonial colonies. Anybody at all. Just sitting here, waiting for you to bequeath her with your fleet of corgi puppies in your will. All I’m saying, HRH, is that you do not have to throw in the towel with this endeavor. Don’t give up on the one thing you hold so dearly! There is hope! There are possibilities out there for your delightful puppies.